Last week my wife told me to bring the kids to JP and have some fun there! Well since is a family night of coz I no reject one. We have to meet some other parents which is my daughter's classmate daddy and mummy. My wife told me the ticket was special offer so I agree to go but I didn't expected it was so many people. I feel like me back into 1994 when I was just open... Wow until the highway there also Jam. I wait until no patient and park the car at the road side coz I know there is no more parking at the food court there. So we use walk and when I reach at the entrance it was like people want to go watch MJ concert lah. At that moment I straight away no mood to go into the park. First is the weather look like want to rain and my car was park so far and I worry later my kids will get wet so I told my wife and the other kids parents go. 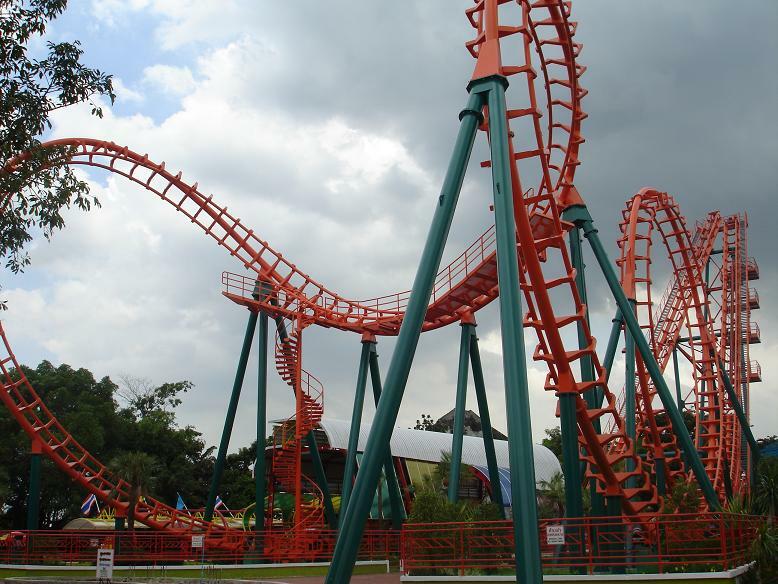 The rides really awesome lah... now looking back the ride we have is like a mouse compare with Elephant!! Have you ever ask so where is the Pusing Lagi and the Boomerang now??? I also curious so I did a little bit searching in Google. 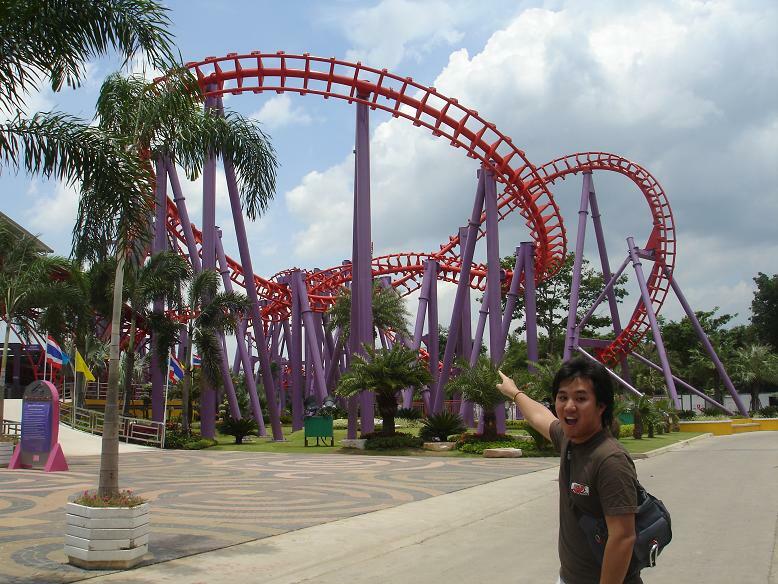 finally I know where it, It was in Bangkok call Siam Park City. Not only the roller coaster but also some ride also there too like the Giant Drop and Aladdin. Click here the LINK at see where are them now!!! Now I think back I feel that my time is 10x better than the kids now! Kinda pity my daughter don't have the chances to play what we had before in the park! Familiar with this ride?? Yes this is the Boomerang!!! But the background look different right! Now if you want to play this Pusing Lagi you have to come here and play!!! Some time I do miss her... she used to be our Brunei Landmark.